I've had two close calls with the Microvision so far. 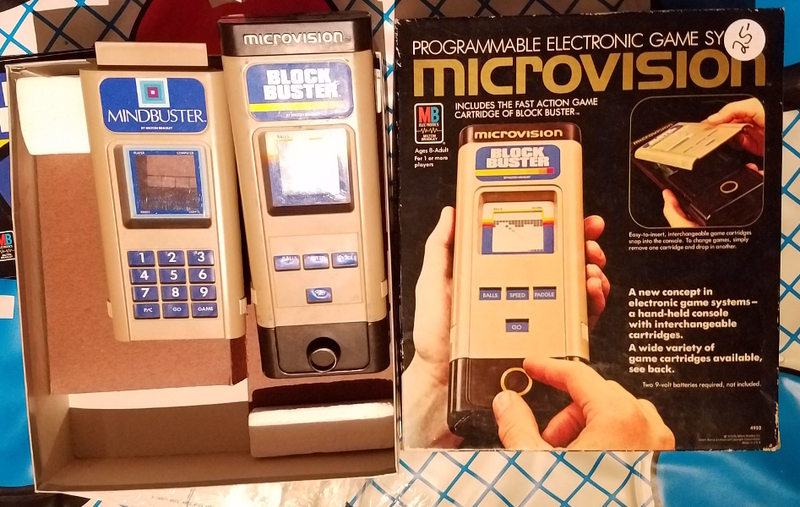 In 2012 I found an empty Microvision box. In 2014 I found a copy of Pinball but no system. At an estate sale this February I finally ran across a system. The box is in decent shape, the other one I found is better. The system itself has a lot of mileage on it, someone was a fan. At least it also came with two games that I didn't have, which is easy since I only have the one. I hope this is a good sign for 2019.